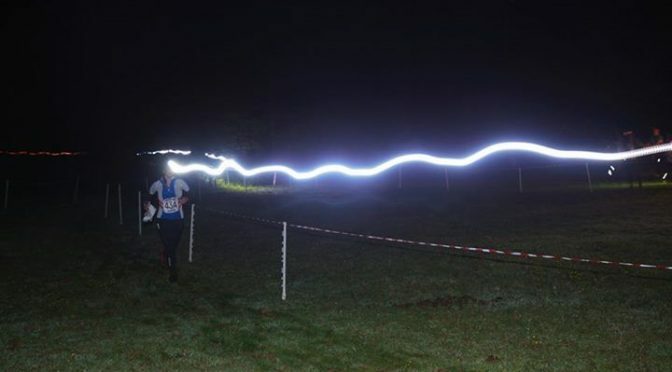 The second race of SLOW’s 2017-18 Night-O series was held on Wimbledon Common on Tuesday 28 November. The next race in the series is on Barnes Common on Tuesday 23 January 2018. Thanks for coming along and making it worthwhile to put on the event. I aimed for the short course to have medium difficulty checkpoints, with the extra checkpoints on the long course quite tricky in places. It is more important at night to have very good attack points before the final approach to each checkpoint as mistakes are so much more costly than in the day time. Thank you to the helpers: Don McKerrow, Sue Carter, Paul Couldridge, Steven Clelland, Rob Patterson & Geraint Lee. Look out for other events on the SLOW or British Orienteering websites. Lost property: hat, waist belt, blue Silva compass.